Thank you to our passengers, staff, train crew, Santa’s special helpers, and the Knoxville Community for supporting our operation. 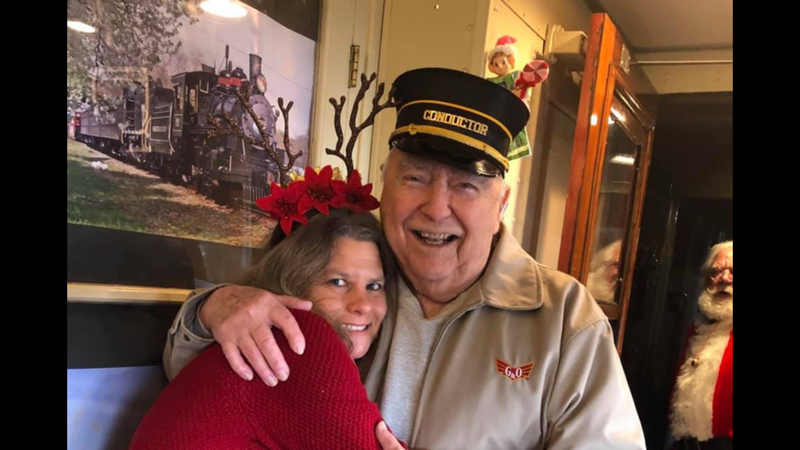 We would also like to take a moment to thank our beloved conductor Don Lerch who is retiring after 15 years of volunteer service on the Rambler. We appreciate his many contributions over the years. We wish everyone a Happy New Year and look forward to seeing you onboard again. Field Trip Dates for 2018! All Departures will be at 10:30am for our Depot located in the University Commons directly across from Tyson Park. Group are welcome to bring lunch to eat on the train or just enjoy the trip! This will be a 90-minute diesel trip along our 3RR Route to the Forks-of-the-River. Call 865-524-9411 ext. 123 for more info! In our efforts to preserve rail history, we are almost always involved with a locomotive restoration project. Currently, one of those projects include a 1922 Baldwin 4-4-0 locomotive purchased in 2013. Engine No. 60, also known as Texas II, has been on static display at the Stone Mountain Railroad in Georgia but will be a part of the Rambler service once it's restoration is complete! To see more photos of No. 60 on our website, click here and keep an eye out next month for updated photos of 60's new tender. Meet the newest member of the Rambler Family! 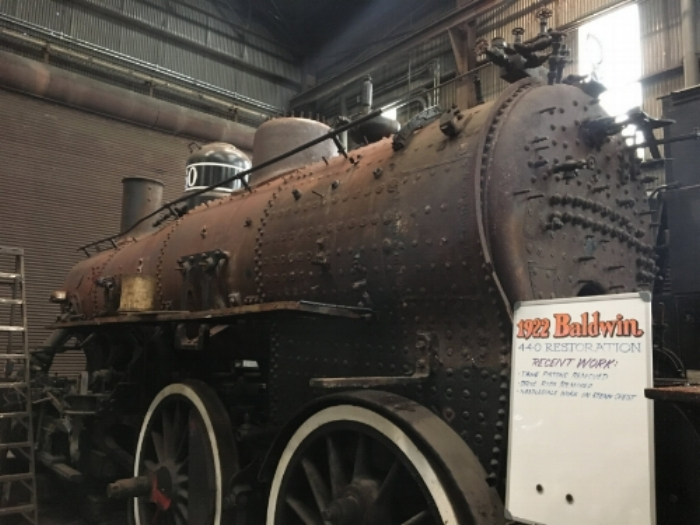 We are honored and excited to start restoring this historic locomotive thought to be the oldest horizontal boiler steam locomotive in the U.S.! Trains Magazine dropped by last year to speak with KXHR's general manager, Scott Ogle, and G&O's Chairman of the Board, Pete Claussen, about the Mississippi- check out that video here. Stayed tuned in the coming months to see the progress being made by local artist Jim Donahue on this once-in-a-lifetime project! Check out this new video showcasing the Three Rivers Rambler! Thanks to our friends at Volan Media for creating this for us! Take a virtual trip with the Three Rivers Rambler (3RR) Hoot 'N Holler Express! This particular train ran the morning of October 8th, 2016. The train departs the 3RR depot and travels past many Knoxville, Tennessee landmarks like Neyland Stadium, the Henley Street Bridge, Calhoun's on the River, and more. 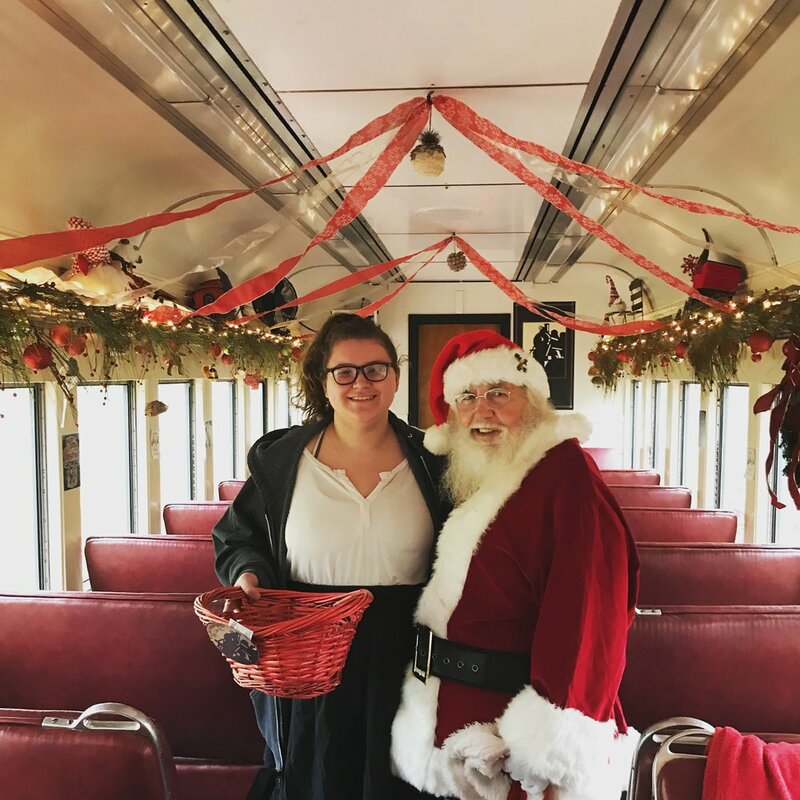 If you would like to ride the train please visit our ticket reservations page to view our schedule and reserve tickets. WARNING: This video was made by railroad employees who are trained to be on or near railroad tracks in a safe manner. For your safety, never take photos on or next to railroad tracks. Call all Santas for Hire! Give your class an authentic train experience this field trip season! Every season we have requests for field trips and this year we have these four dates available for just that. Other dates are also possible for larger groups. School groups, church groups and even large family reunions are welcome on these dates. Call 865-524-9411 ext. 123 for pricing and information about booking. 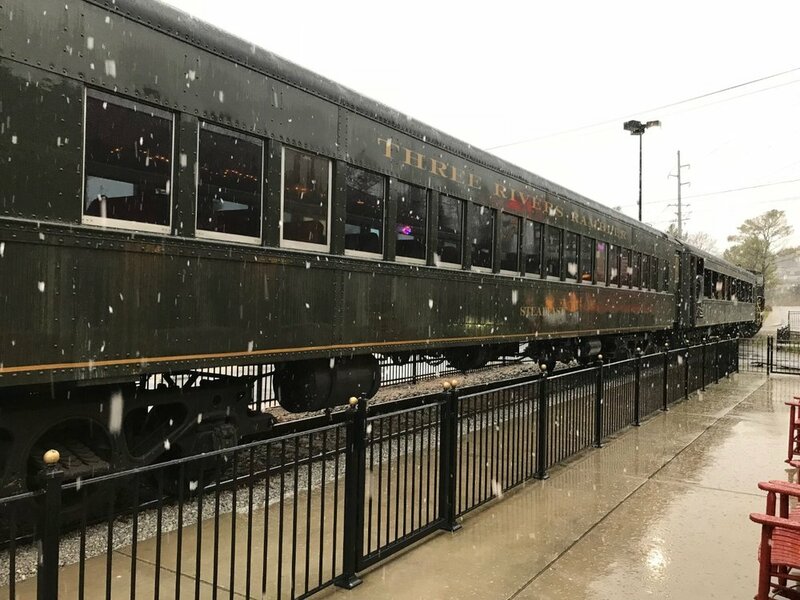 With our first Vintage Baseball Express trip right around the corner, we wanted to give you 5 tips on how to best enjoy it! 1. Take advantage of the Tour of Ramsey House- Bringing the family history buff with you on the trip? After arriving at Ramsey House, tours are available during the game for $5 and last 30-40 minutes. Be sure to swing by the Visitor's Center to find out the daily schedule and purchase your ticket. 2. Bring a packed lunch- Ramsey House will have traditional baseball concessions and the Rambler will have drinks and snacks available onboard, but passengers are welcome to take advantage of the picnic area to enjoy to homemade (or Subway made) fare. With two hours at the game, there's plenty of time to have lunch and enjoy the game both. 3. Enjoy games on the lawn- If you young ones are getting restless during the game, pop over to the game area. We will have Corn Hole, Ball Toss games, kites and other activities set up to enjoy. Or just throw around a baseball in the shade. 4. Stay Hydrated- While you will be under tents watching to game, please remember to stay hydrated! Especially during those hot August games. Bringing your own drinks is completely fine (no alcohol please!) or water can be purchased for $1 onboard. There will also be complimentary lemonade on or before the train takes off, so grab a cup and enjoy! 5. Interact with the players- Usually at least one player will ride the train out the game and it doesn't get much more historic than that! Get the kids talking with them and hear all about a bygone era. Trust me, they know their stuff! For online updates, follow us on Facebook here. Vintage Baseball Express Tickets On Sale! We are proud to announce the vintage baseball express tickets are on sale! Join us on our Vintage Baseball trains this summer season: all trains depart from our depot at 10:30. Watch a vintage baseball game played at Ramsey House by Civil War era rules after journeying by steam train along the Tennessee River to historic Ramsey House. Enjoy kids games on the lawn, baseball concessions and live music behind the field. ***Please note that the Rambler will not arrive back at the station until 3:30-4pm. Buses will be available early into Knoxville from Ramsey House during the game. A short bus ride is required to get from the Rambler to Ramsey House.